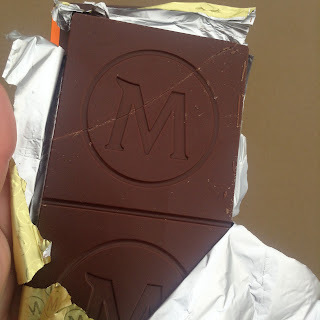 It's been a while since I first tried Magnums Signature chocolate range now, they first brought out three bars in Milk, Dark and White Chocolate - the latter two of which I've reviewed. Since then they've added more varieties to the range, including Salted Caramel and Orange. 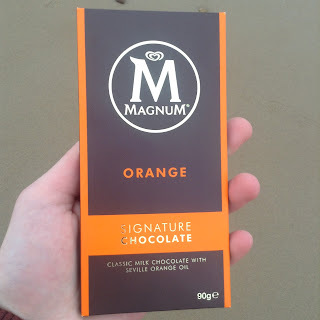 I chose the Orange one to try recently because I was curious how it would compare to the classic Terry's Chocolate Orange, which is declining in quality rapidly year on year, it seems. Like the other bars in the range this weighs in at 100g and costs 99p in the likes of Home Bargains and B&M stores. I believe WH Smiths may also stock it. 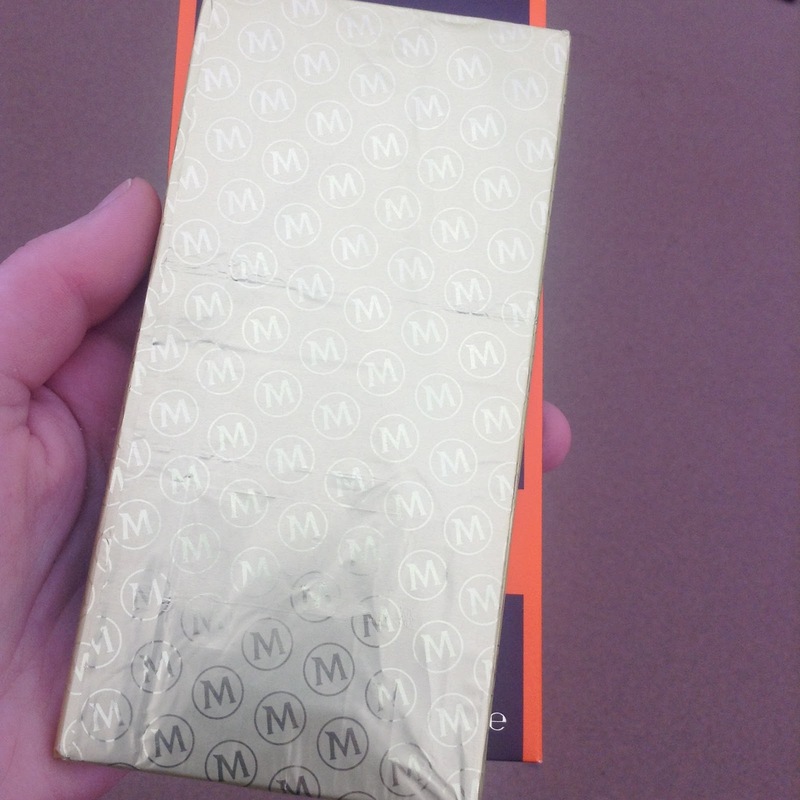 There's two thick squares per bar, each one the perfect size for an indulgent treat all to yourself. Of course I ate both both! It has a nice zesty orange aroma with a stronger cocoa kick than Terrys Chocolate Orange. I took a bite. Yum! This is seriously good quality chocolate, far far better than Terry's, no greasy or waxy texture, just melt in the mouth creamy chocolate. The higher cocoa solids (30%) give it a richer, finer flavour and the orange flavour tastes fresh and compliments it perfectly. Added to all of this is a lovely smooth creaminess from the milk powder. This is one tasty bar indeed! 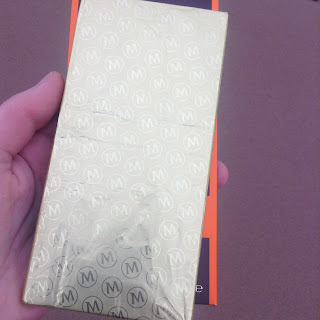 Overall, if you love orange chocolate this bar is a must try. It's far tastier than Terry's Chocolate Orange is becoming, and offers better quality for the same price. If you have any Home Bargains or B&M stores locally - seek these out and stock up for Christmas, you won't be sorry! And forget about Terrys Chocolate Orange full stop. They're really not worth it these days! Actually, the cocoa solids are 38% which makes a serious fine chocolate bar. 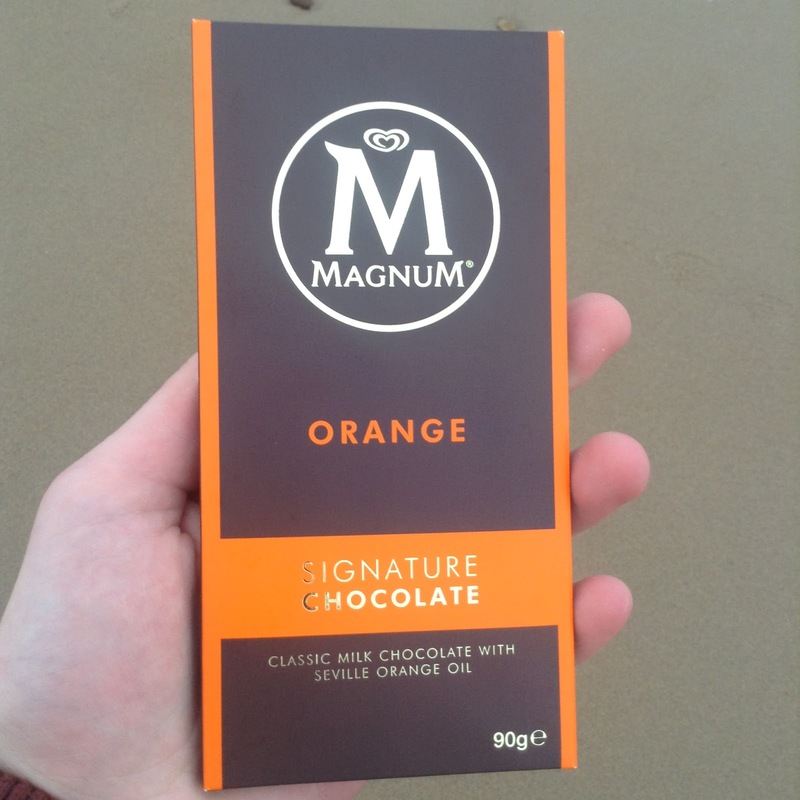 As you say, much better than Terry's chocolate Orange which is so sweet it burns your throat!! And as for Cadbury's chocolate which contains no more than 20% - 23% cocoa solids, this range of chocolate bars just shows what rubbish Cadbury's is - over priced crap! !